Use the form below to contact car rental Mercedes Viano directly. 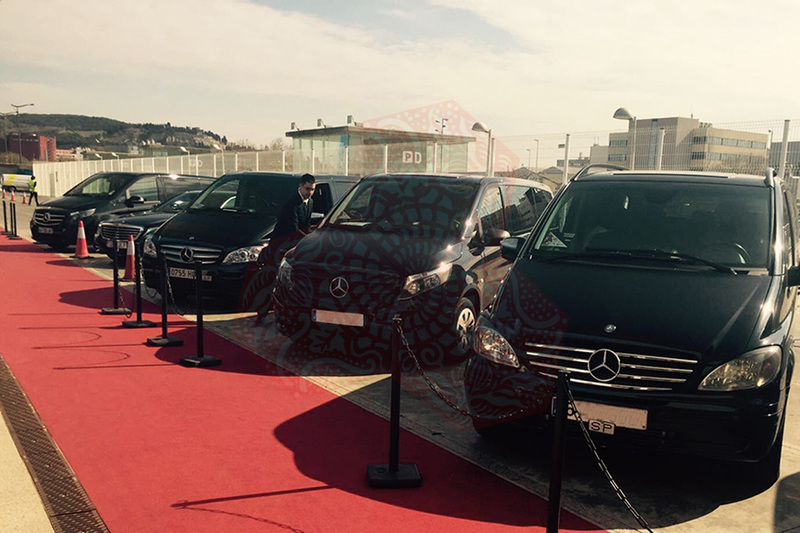 Whatever the occasion in Barcelona the Viano chauffeur driven MPV will give your group the space and flexibility to work, entertain or relax in luxurious comfort and necessary safety. The Viano will carry up to seven passengers in executive chauffeur driven luxury. For groups travelling with lots of luggage, Golf Clubs or other sports gear, these extra long wheel base vehicles are ideally suited. 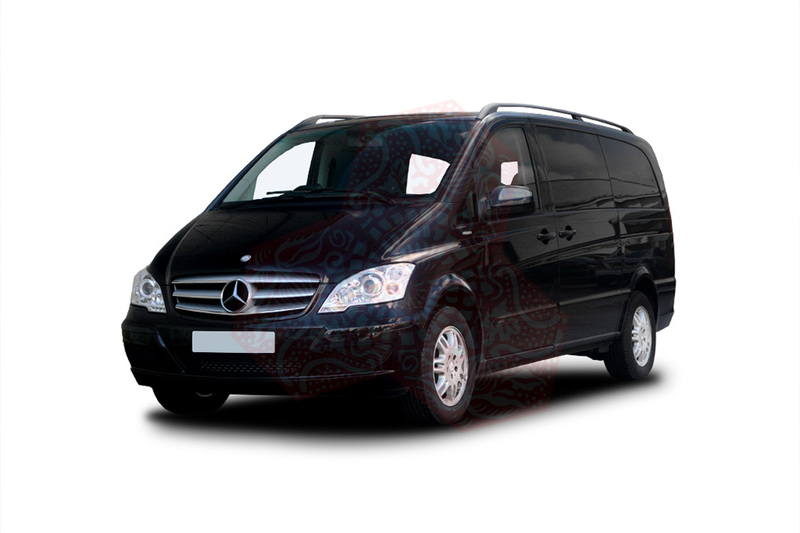 Its more than just a people carrier, the Mercedes Viano chauffeur driven people carrier will give your party the luxury, space and comfort desired. With the rear seating set out for conference seating, by facing each other, you can conduct your business whist travelling in a familiar office type environment, long journeys can prove to be more cost effective when travelling by road, with collection and drop off from door to door you can relax and arrive on time, stress free. 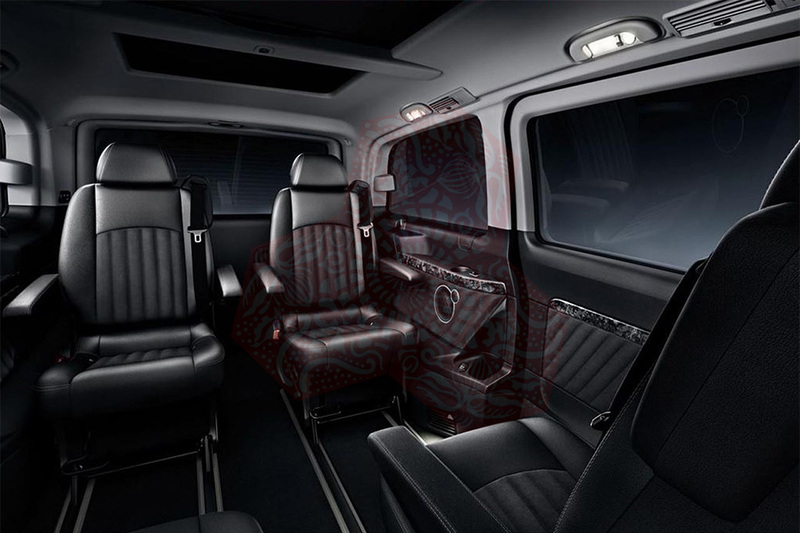 The interior of the Mercedes-Benz Viano chauffeur driven car is particularly suited to executive travel and Corporate roadshows, with ample space to hold business meetings. It also makes a fantastic Wedding car for transporting the bridesmaids, ushers and pageboys.